Charleston, SC, October 24, 2017 –(PR.com)– Dysautonomia Advocacy Foundation launched today a virtual art gallery aimed at raising funds to establish a permanent Research Chair of Autonomic Disorders at the Medical University of South Carolina. Artists’ Eye on Dysautonomia features works from Charleston-area artists, as well as others from around the state and country, who are donating up to 100 percent of each work’s proceeds directly to DAF’s MUSC Endowment. Dysautonomia – or autonomic dysfunction – describes a range of disorders that cause the autonomic nervous system to not function properly. The autonomic nervous system controls involuntary, but essential, body processes, such as heartbeat, blood pressure, digestion and temperature regulation, among others. Estimates suggest tens of millions of people worldwide are affected by some form of dysautonomia. However, because symptoms can be as varied as the many different types of autonomic disorders, putting the pieces together to see the full picture of dysautonomia is difficult and often impossible in many medical environments. The endowment to create a permanent Research Chair of Autonomic Disorders at MUSC will establish a research laboratory and improve the current clinic, with state-of-the-art equipment that will train a new generation of medical professionals who can recognize the myriad symptoms dysautonomias present. 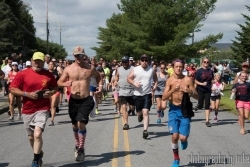 This program will become a model that can be implemented in medical schools nationwide, and become a hub for dysautonomia diagnosis, research and treatment for the Southeast. Artists’ Eye on Dysautonomia features works of fine art that can be purchased directly through the TeamDAF.org website. Information about the works, artists and what will be donated to DAF are included with each listing. The event will run through Nov. 23. For more information about Artists’ Eye on Dysautonomia or Dysautonomia Foundation, please contact Robin Kavanagh at [email protected] or visit TeamDAF.org. 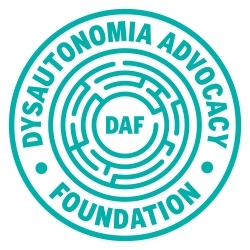 Dysautonomia Advocacy Foundation was founded in 2014 with the mission to reduce the statistical average of 5 years to diagnose a patient with dysautonomias down to an office visit by implementing integrative research. As a 501(3)(c) nonprofit based in Charleston, S.C., DAF generates awareness about dysautonomias, funds projects that drive more research and understanding, and develops avenues that lead to the reduction in time to reach a diagnosis, which created greater access to care. Can text at the number given.